Settled in the heart of the city Grand Hotel Sofia is a deluxe business 5- star hotel that has been the natural home for many international travellers. Its imposing facade of marble, glass and granite hides one of the most luxuriously appointed hotels in Sofia. 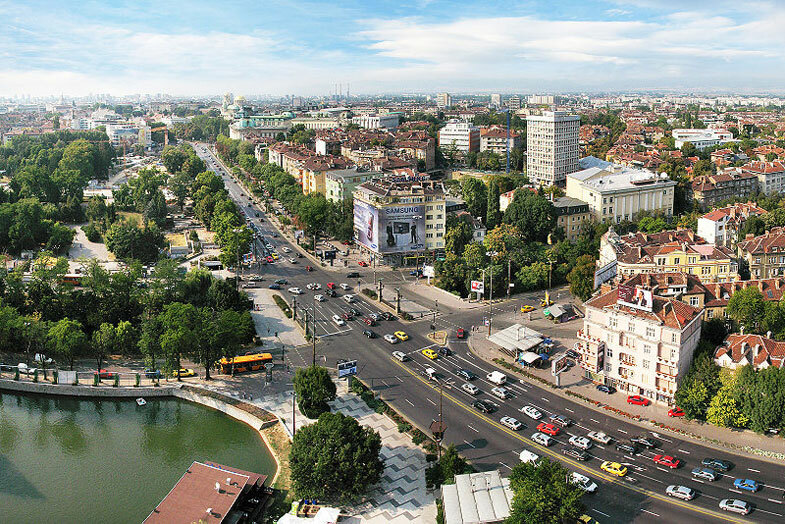 The hotel is located in the very city centre, overlooking the City garden, on the doorstep of the National Theatre and the City Art Gallery, within walking distance from Bulgaria Concert Hall, the Alexander Nevsky Cathedral and the Vasil Levski National Stadium. Business guests appreciate its close proximity to main administrative, financial and commercial sites.The Hotel is easily accessible from Sofia International Airport (10 km). With its prime city centre location, diverse accommodation, conference and banqueting facilities as well as high level of service Grand Hotel Sofia offers a winning combination of old-fashioned opulence combined with the latest innovations in technology. The hotel interior benefits from its unique collection of over 400 original oil paintings.